In this time of giving thanks, International Student & Scholar Services (ISSS) and the Commons Residential Advisors (CRAs) want to thank members of the Middlebury College and local communities for their generous donations to our 2016 Winter Clothing Closet, held in late October. More than 90 students who will experience a Vermont winter for the first time attended this successful event. Many First-Year and Exchange students as well as Transfers and Teaching Assistants walked away with smiles on their faces and essential items in hand to help them survive the long winter ahead. Thank you for being part of this more-than-20-year tradition. The students who attended were grateful for your contributions– and the thank you notes written in many languages on our sign-out board were a testament to that. We kept a stash of of the leftovers for the “clothing closet” in ISSS for students to tap in the coming months. (We think some students haven’t realized yet how cold it will REALLY be!) We also donated several bags of the remaining, high-quality items to a local agency in town. 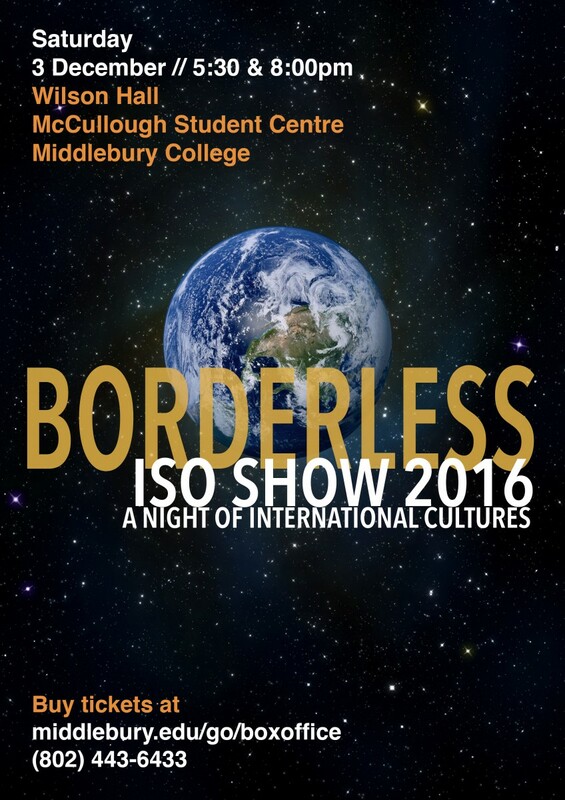 We are grateful for your participation in this important event that provided a “warm” welcome to students who are still in the process of making Middlebury home. This entry was posted in Midd Blogosphere and tagged Midd News & Events, Midd Points on November 21, 2016 by Kathy Foley. Purchase your tickets in advance at the box office–in person, by phone at 802-443-6433, or online at www.middlebury.edu/arts/boxoffice. Ticket price: $6. This entry was posted in Midd Blogosphere and tagged Midd News & Events on November 8, 2016 by Kathy Foley. The time has come to begin collecting donations for the annual Winter Clothing Closet! See below for how to help. Each year, the Commons Residential Advisors (CRAs) and International Student & Scholar Services (ISSS) team up to organize a clothing drive to benefit new international and U.S. students (especially those who have never lived in a cold climate) who need warm winter clothes. 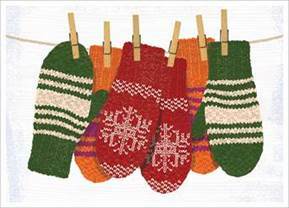 We seek “like-new” or “gently-used” winter clothing. In particular, we’re looking for winter coats, jackets, hats, mittens/gloves, scarves, and footwear/boots that would appeal to college students. Atwater Dining— near the dining room entrance. Athletics Complex— inside the main entrance by the information desk. Proctor Dining— in Woodstove Lounge. Ross Dining—near the dining room entrance. Sunderland/Dana Auditorium – Inside main entrance. A big thank you to all offices hosting collection boxes and to all of you who are able to contribute! The Winter Clothing Closet will be held on Wednesday, October 26. This entry was posted in Midd Blogosphere and tagged Uncategorized on October 10, 2016 by Kathy Foley. International Student & Scholar Services invites you to learn more about our Friends of International Students (FIS) host program. The program provides a terrific opportunity for you to meet people from around the world, and to connect with a student in an individual way. It’s a friendship program. Contacts between student and family are arranged on your own terms. Most of the students participate in our program, so we will need many new hosts. Monday, September 22, from 12:15 – 1:00 p.m. The meeting will be held in the Carr Hall Lounge (Carr Hall is at 452 College Street). Please feel free to bring your lunch to the mid-day meeting. Even if you have been a host in the past, please register for a meeting, both to share your experiences with potential hosts and to learn about the upcoming year of the FIS program! We hope you will be able to join us. However, if you cannot attend a session and are interested in the program, please let us know. Please also share this information with friends and family who do not work at the College as we welcome their participation. Click here to learn more about the Friends of International Students (FIS) Host Program. This entry was posted in Midd Blogosphere and tagged For Faculty, For Staff on September 17, 2014 by Kathy Foley. You’re invited to learn more about the Friends of International Students (FIS) Host Program at our upcoming information meetings. International Student & Scholar Services invites you to learn more about our Friends of International Students host program. Both meetings will be held in the Carr Hall Lounge (Carr Hall is at 452 College Street, and is also marked as the Center for the Comparative Study of Race and Ethnicity). Please feel free to bring your lunch to the mid-day meeting. 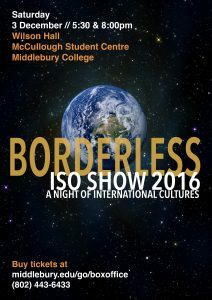 TO REGISTER: Please contact ISSS, by email at isss@middlebury.edu or by telephone at 443-5858. (Your email reply will go directly to the ISSS office mailbox. In either your email or phone message, please provide your name, email address, and phone number, as well as which meeting you plan to attend.) Even if you have been a host in the past, please contact us to register for a meeting, both to share your experiences with potential hosts and to learn about the upcoming year of the FIS program! We invite all who are interested in learning more about the program to attend a meeting. Please also share this information with friends and family who do not work at the College as we welcome their participation. This entry was posted in Midd Blogosphere and tagged For Faculty, For Staff on September 4, 2014 by Kathy Foley.